Nothing better than being a blond bombshell while doing The Hustle. Or, maybe you prefer to do The Lawnmower while dancing the night away. 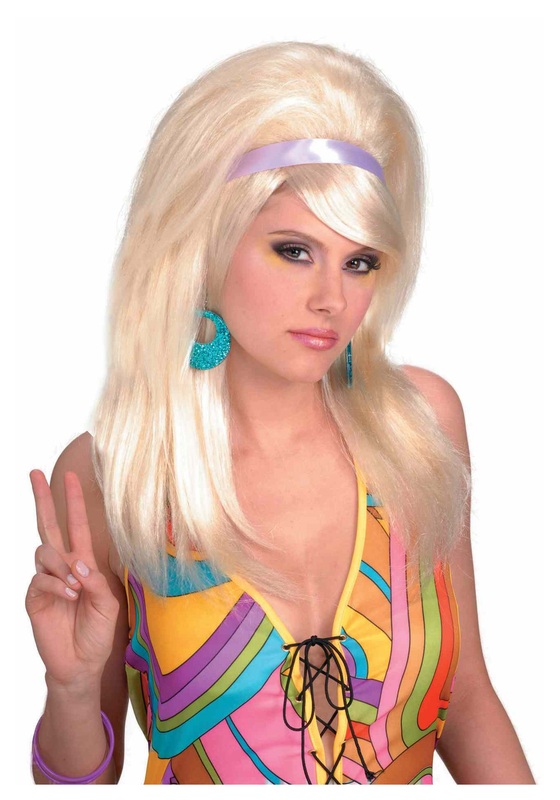 This wig will bring out your disco inspired dreams from the 60s and 70s. The Blonde Mod Wig is a show stopper on and off the dance floor. Just add bell-bottoms, bright colors, and the right platform shoes for a groovy look. This wig will bring out your inner diva with long blond (synthetic) hair, topped with a pink ribbon for added style. The mesh interior makes it easy to wear while busting moves, and elastic helps keep your hair-do in place. With hair this good you'll be able to do the Funky Chicken, The Disco Finger ( you know from Saturday Night Fever),The Bus Stop, and all the awesome disco moves!